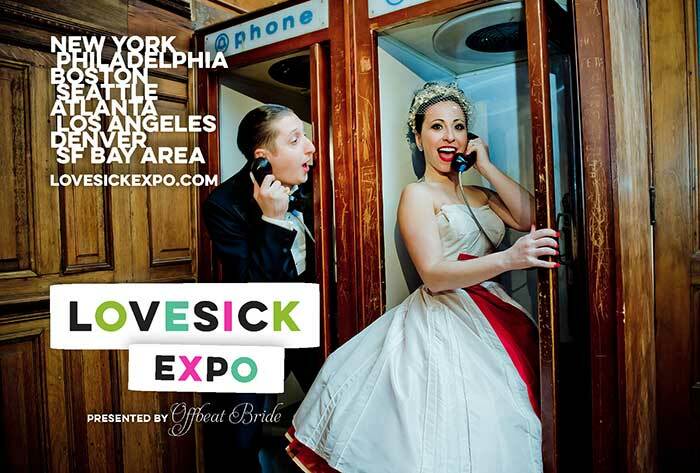 Hand-Painted Weddings is stoked to be chosen as a vendor at the Lovesick Expo in Philadelphia for the 4th year in a row! I love this event. It is unique, creative, and offbeat, and I admire and encourage every couple who decides to personalize their wedding with unique touches! This is just why I love the couples who attend the Lovesick Expo. Also the guys at Lovesick Inc. along with Offbeat Bride put on a really great show. It is a wildly fun time, and you won’t want to miss it! I can’t wait to meet some of you readers on January 10, 2016!